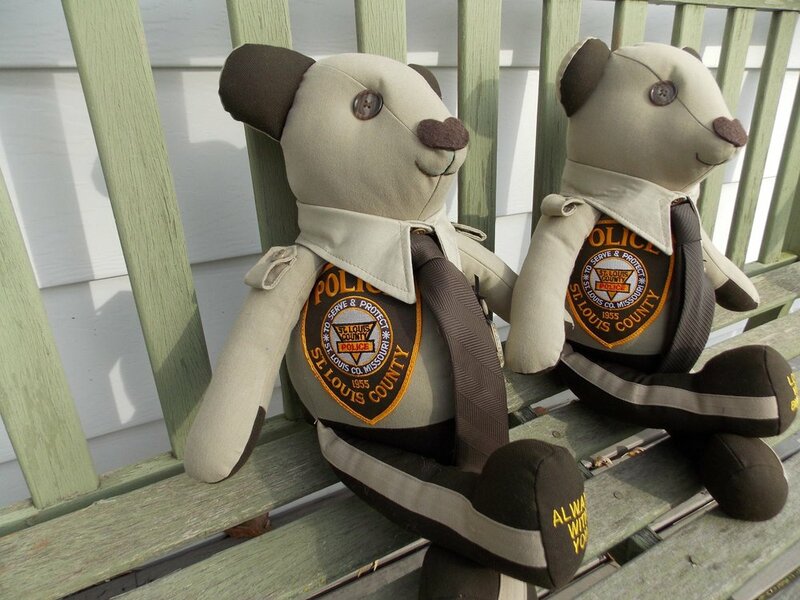 Friends of fallen St. Louis County police office Blake Snyder ordered two Blessing Bears for his 2-year-old son Malachi. 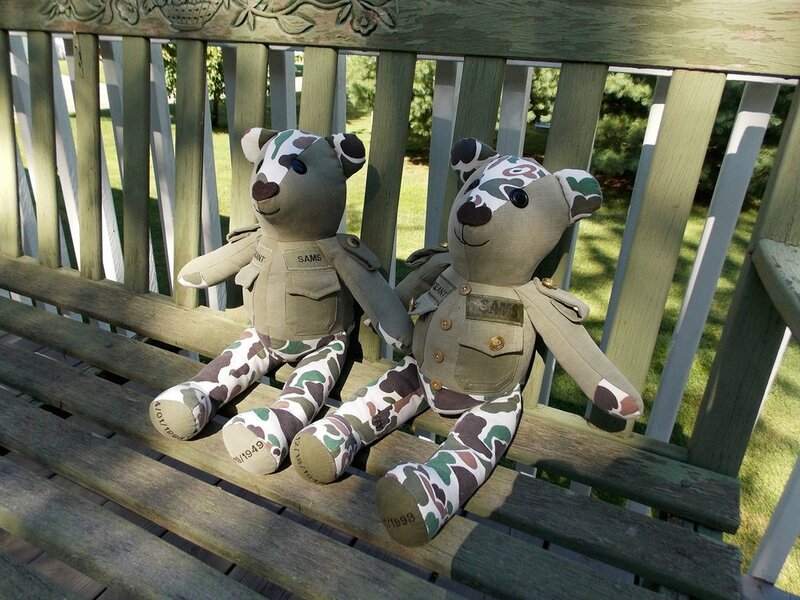 His mother posted this photo of his bears on Facebook. 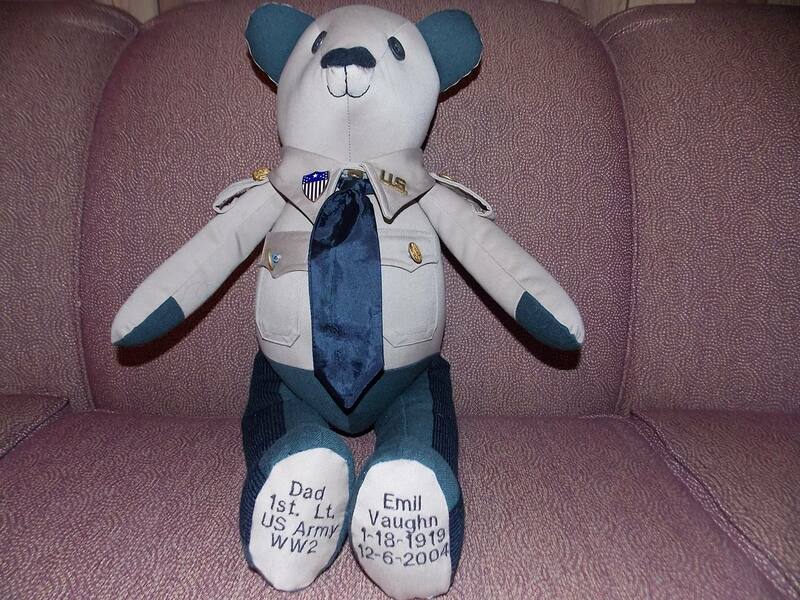 Honor your hero with a bear made from his or her uniform. 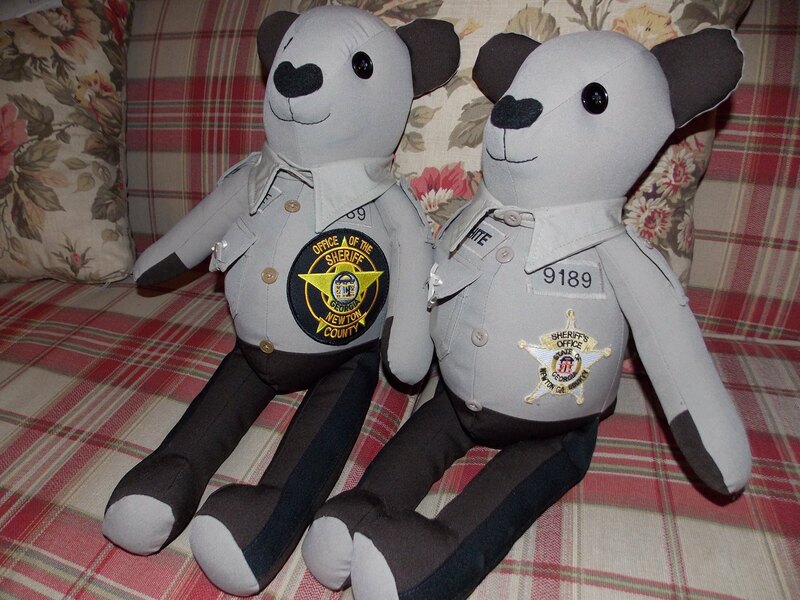 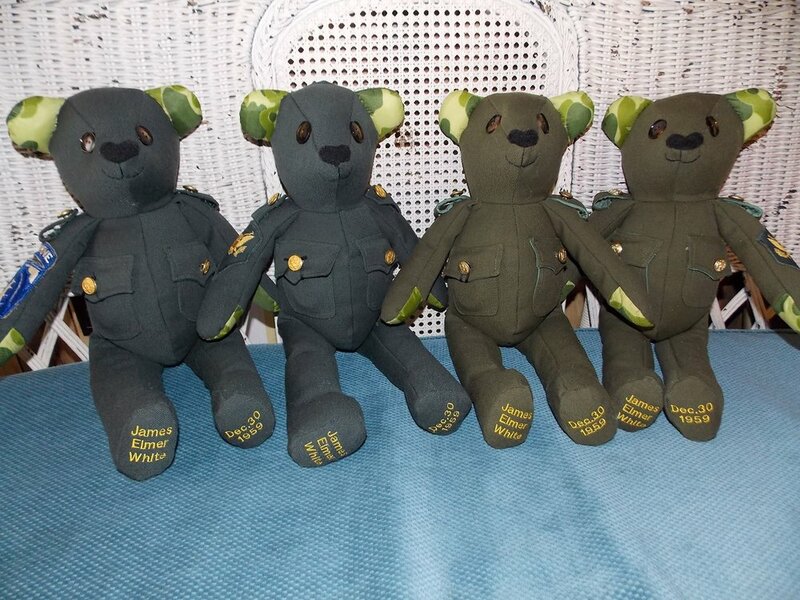 Hero bears can be customized with patches, pins, ties, and embroidery. 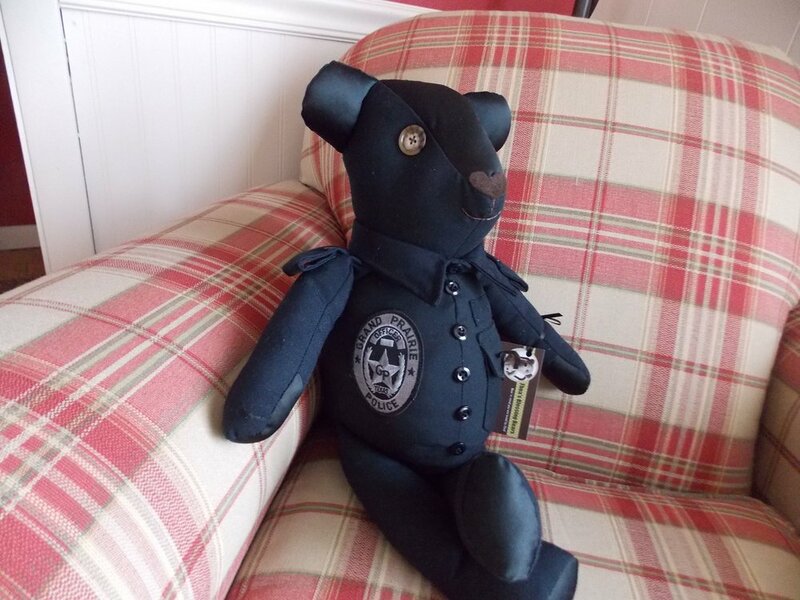 We can add stripes to the pants, pockets on the shirts or epaulettes to the shoulders to mimic the authentic uniform.